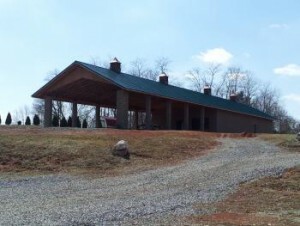 Wheeler United Methodist Church is pleased to provide facilities for the use of church sponsored activities and for community events such as meetings, family reunions, weddings, reception and basketball games in accordance with Safe Sanctuaries (our policy regarding events with children and youth). Please note: ALL RESERVATIONS are on a first come, first serve basis with church sponsored functions having first priority. In order to reserve the main facility or specific rooms for your event, please fill out the Building Reservation Form and send to the church. You will also want to be familiar with the building policy as set forth by the Board of Trustees. There is a fee for all outside groups and non church sponsored activities. The Pavilion is now available for use and reservations. If you would like to get married at Wheeler, you will need to become familiar with the wedding policy and fill out a wedding application. Also, it is important to contact the pastor as soon as possible. In accordance with The United Methodist Church and the Holston Conference, we adopted a Safe Sanctuaries Policy in order to protect the children and youth who use our faclities and participate in the ministries of the church. ALL GROUPS, both church sponsored and non-church sponsored events, are expected to abide by the guidelines of our safe sanctuary policy.